According to data from the Health, Labor and Welfare Ministry, nearly 30% of the workers who applied for workers’ compensation for depression and other mental illness were in their 30s. About 50% of men and 60% of women workers’ compensation for mental illness fell between the ages of 20 and 39. The data analyzed 2,000 cases ruled eligible for such compensation between January 2010 and March 2015. The ministry is taking seriously the rise in young workers for workers’ compensation over mental illness from overwork since overwork suicide is on the rise among young workers in Japan. It started dispatching doctors and counselors to workplaces to help teach younger employees how to cope with stress. 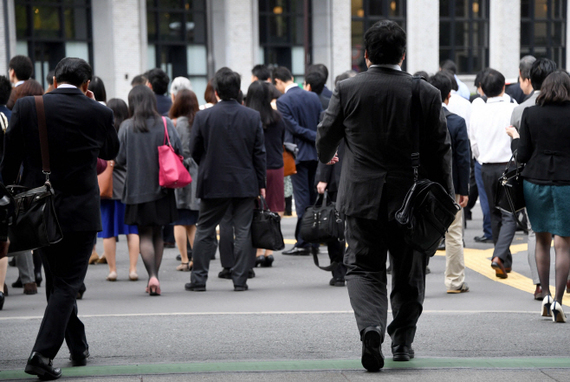 Japan’s overwork culture is getting worse due to chronic labor shortages. Emiko Teranishi, head of the Families Dealing with Karoshi support group, said labor shortages and firms seeking for short-term profits cause “karoshi,” or death from overwork. In a column for online newspaper Sharecafe, management consultant Takao Kawasaki pointed out that workers are likely to overwork as there are many companies that face chronic worker shortages. In order to make up for the labor shortage and shrinking labor population, Japan is looking to bring in more foreign workers while coming up with countermeasures, such as promoting telecommuting for workers.